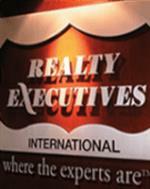 Realty Executives have always been on the cutting-edge for providing high quality service and support to their clients. The Realty Executives brand has stood for integrity and quality for nearly 50 years, and we’ll settle for nothing less than the best. I commenced my real estate career in 1976 with Roy Weston Real Estate. During the years of service with the company my role included General Sales Manager, Franchise Director, and finally Partner and Managing Director of the group. After the sale of the Roy Weston Group I founded Realty Executives in 1995 of which I am the CEO. I am a Licensed Real Estate Agent and Auctioneer conducting hundreds of auctions from residential houses to land subdivisions and commercial properties. Newspaper advertising will be only at Sellers request and expense. In my experience advertising on the internet achieves a far greater response than advertising in the newspaper and is much more cost effective. Marketing budget (excluding newspaper advertising) will be $683 payable when the property is listed for sale, see below for itemised cost.